As expected, the big names were out in force for the first open event of the 2014 World Series of Poker, the $25k Mix Max event. 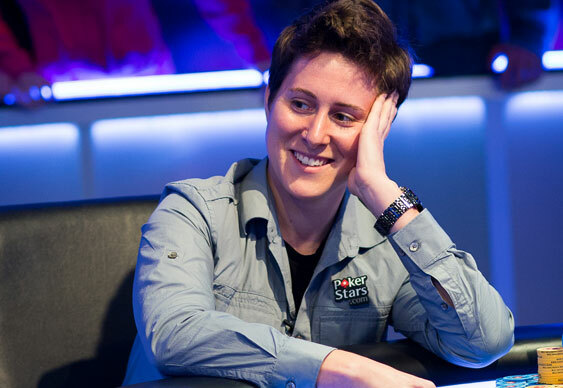 By the close of Day 1 it was the very familiar figure of Vanessa Selbst (562,800) who was out in front followed closely by Brian Rast (557,400). Of the 131 starters, 60 remain including Michael Mizrachi, Daniel Cates and John Juanda who all finished in the top ten. The rest of the field is a who's who of tournament talent and features the likes of Phil Hellmuth, Phil Ivey, JC Tran, David Benefield, Jason Mercier and Daniel Negreanu. Hopes of a first British bracelet of 2014 are alive with Stephen Chidwick and David Vamplew returning in 9th and 11th respectively. Sam Trickett is by no means out of it either in 25th. The players will return later today to compete at six-max tables followed by four-max tomorrow before Friday's finale. The top 16 will walk away with at least $54,945 with the eventual winner pocketing $871,148.